Buying washing machines in Melbourne has become a necessity in households for clean and hygienic laundry. Washing machine repair is inevitable with the extreme use that machines are placed under. 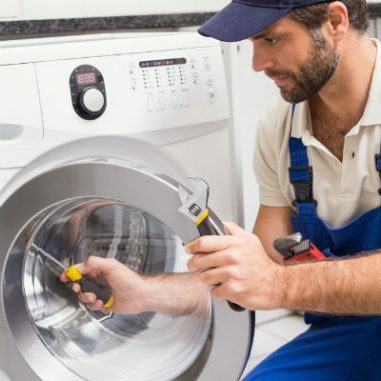 When it comes to high quality service and the best washing machine parts in Melbourne, look no further than do-all Appliance Service – your service and repair specialists. At do-all Appliance Service we understand the importance of quality and longevity with washing machines and regardless of what type or brand of machine you have, like our name suggests we provide repairs and services for all appliances. Whether you need Whirlpool or Fisher & Paykel washing machine repair or you may have another brand, our skilled technicians have the know-how to handle and problem. For Whirlpool and Fisher & Paykel washing machine parts and repairs in Melbourne you can trust the experts at do-all Appliance Service to get the job done right and fast. Don’t worry about appliances – leave that to us.